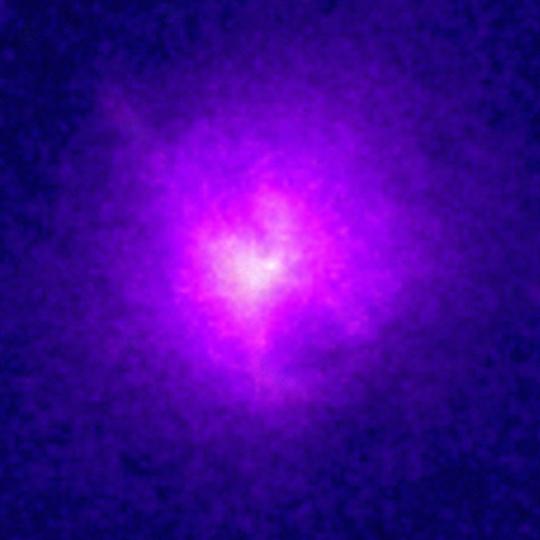 Hydra A is a galaxy cluster that is 840 million light years from Earth (redshift = .054). The cluster gets its name from the strong radio source, Hydra A, that originates in a galaxy near the center of the cluster. Optical observations show a few hundred galaxies in the cluster. 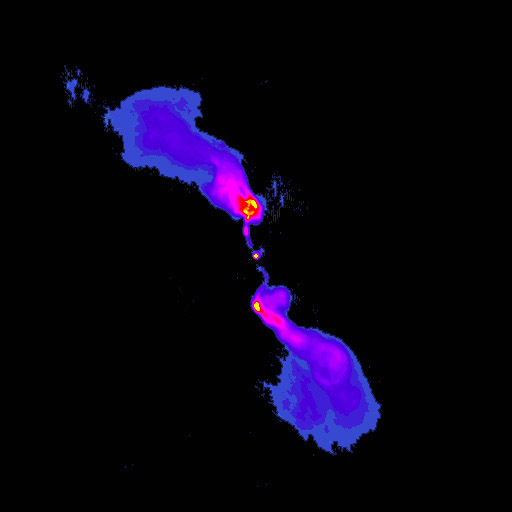 Chandra X-ray observations reveal a large cloud of hot gas that extends throughout the cluster. 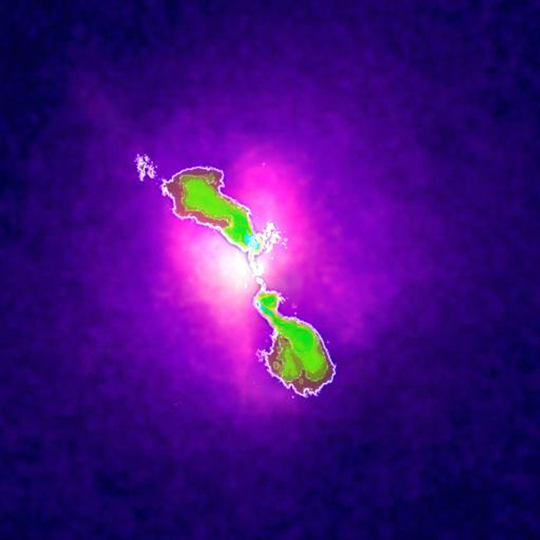 The gas cloud is several million light years across and has a temperature of about 40 million degrees in the outer parts decreasing to about 35 million degrees in the inner region. Scale Image is 2.7 arcmin across. Coordinates (J2000) RA 09h 18m 06s | Dec -12° 05' 45"